Iseguri Ghana organizes a number of community based activities with the goal of improving the well being and economic status of women. This group provides micro-credit to women in their community as well as training and support in order to meet these goals. In 2018 Iseguri Ghana received funding from the SHARE Institute. 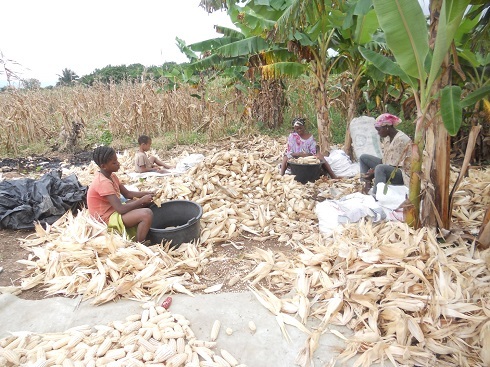 The project is designed to help women grow and increase the yield of Cassava. Funds were used to train, buy need equipment for the planting of cassava by 20 women. The women used the extra cash to pay for school children’s fees and to improve the nutrition of their children. They all celebrated the additional funds they made because of the new techniques of planting brown rice. The main objective of the project was to improve maize and rice production yields for a hundred smallholder women farmers. The results from the training provided in the orientations sessions of the project as well as the improved seeds that were used led to a very successful harvest season. One beneficiary reported that she used to get a yield of four bags of rice from an acre of land. Now, after the input from this project, she received seventy six bags from two acres. She was particularly pleased with the marketing tips that increased her income to cover the cost of her children’s education. Ten women farmers were selected to receive improved varieties of rice seeds, and fertilizer as a means to help the quality of their yields. These women were trained on improved soil management techniques, various methods of organic farming and efficient storage techniques. 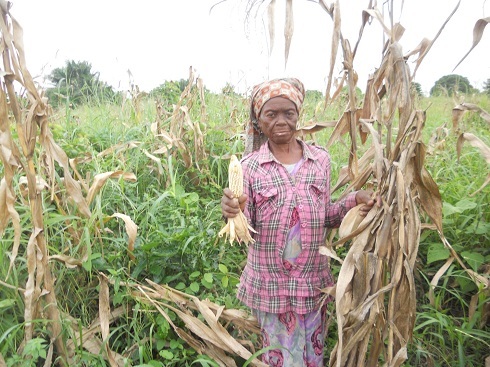 Several of the participating women won community awards for best in maize farming and rice farming. They were proud to participate in this project. 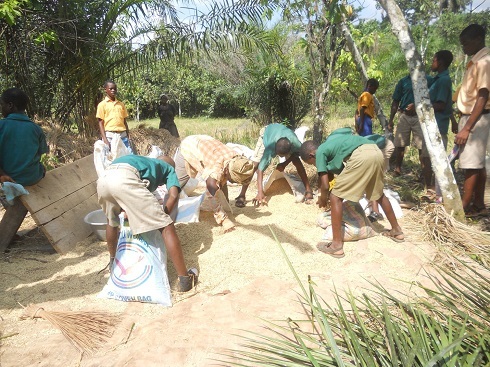 The SHARE Institute funded Iseguri Ghana to work in Jasikan, a rural district in Ghana. Ten women farmers were trained in agricultural skills, storing of foods and grains. The new agricultural practices resulted in improved crop yields, and more income for the women. Most of the women use their income to provide their children with educational supplies.